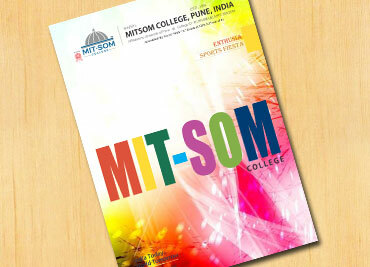 MITSOM College had organized Short Term Course on “Business Simulation” in association with NJoy Learning Pvt Ltd (franchisee of marketplace.com) in the months of February and March 2015. 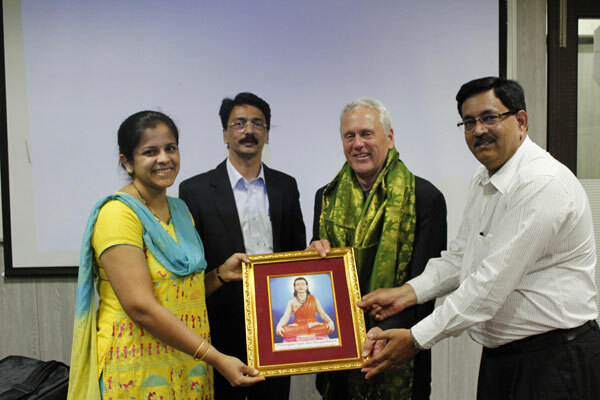 4 teachers and 25 students from BBA, BBM –IB and BCA completed the programme successfully. 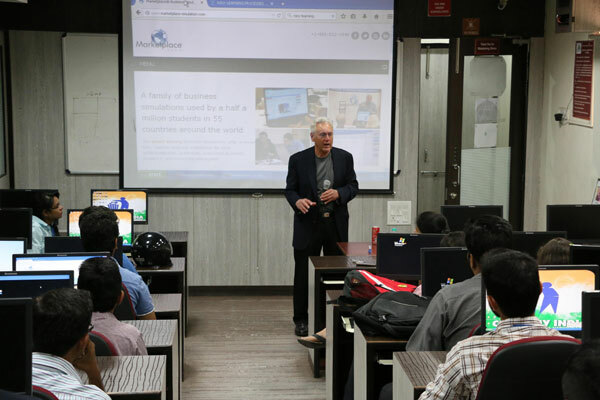 The teaching methodology behind the Marketplace Live business games was created by Dr. Ernest Cadotte, Fisher Professor of Marketing at the University of Tennessee in Knoxville. Students were divided into teams of 5 each and each team represented a company. Through the experiential learning approach, Marketplace Live enabled the students to develop hands-on skills in marketing, management, accounting, finance, and manufacturing. Marketplace Live integrates all functional areas of business. It enabled students to understand how the pieces fit together as a coherent whole. In six decision periods representing quarters of compressed time, student teams chose a business strategy, evaluated tactical options, and made a series of decisions with profitability in mind. Each decision round had a dominant activity linked to a set of decisions which took the students through the business life cycle. 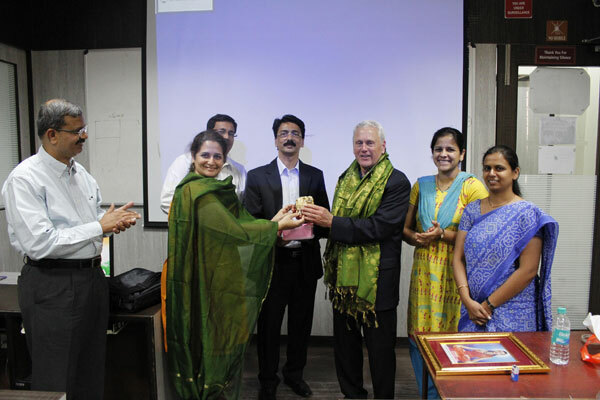 Mr. Bharat Damani, an independent consultant from the corporate sector was the instructor to guide the students in all quarters. 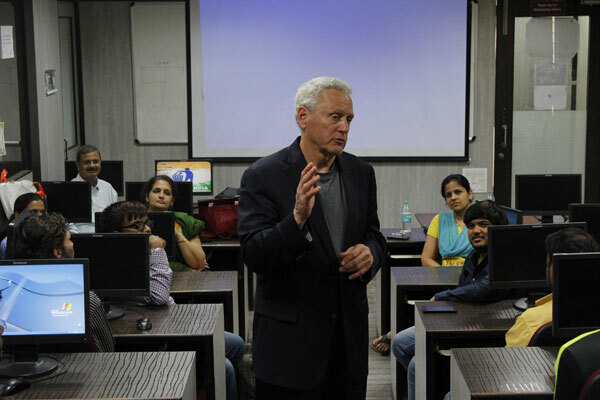 Dr. Ernest Cadotte himself guided the students during his brief visit to our college. 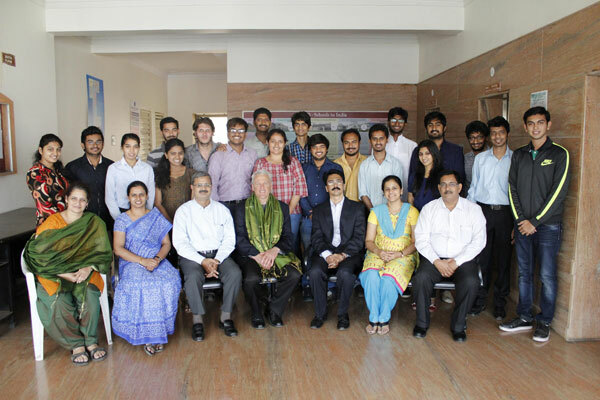 Overall, the course was an eye opener for the students and an extremely enjoyable experience. The feedback from the students was excellent. According to the students, “The simulation definitely maximizes student learning. The decisions that the student faces are very realistic and simulate the same kind of decisions faced by marketing managers in organizations. I really like the idea of phasing new material in gradually so it can be assimilated over a period of time, thus avoiding information overload."